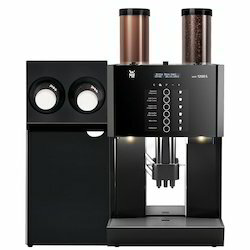 Providing you the best range of fully automatic espresso & cappuccino coffee machine, fully automatic cappuccino coffee machine, automatic espresso & cappuccino coffee machine, fully automatic espresso coffee machine, espresso and cappuccino coffee machine and fully automatic cappuccino & espresso coffee machine with effective & timely delivery. The exclusive design and high-quality finished housing with extremely durable, silky matte Cromargan® stainless steel are a promise that the built-in technology honours. The grinding mechanism and brewing function operate with the WMF Silence System so that you can enjoy your coffee in peace and quiet when working in the office. The WMF Steam Jet system heats the cups in no time, thereby ensuring coffee that is hot and aromatic for longer. The WMF1400 Classic is a fully automatic speciality coffee machine and perfectly designed for the average need. Eight different Classic models with special fitting makes it possible to produce variants of coffee classics to coffee specialities with milk foam. Each WMF1400 Classic features a touch display, automatic cleaning program, beverage registration, hot water dispenser, dry discharge and LED lighting. Available with 4.5 liter flexible water tank or fixed water connection - the WMF1400 Classic is not interior to its big sisters in terms of quality and comfort! The coffee machine demonstrated the fact that it also looks good at one of the world’s largest design competitions. So it has been awarded the »reddot design award. 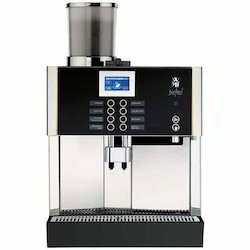 Perfect speciality coffees with milk are prepared or "handmade" at the press of a button The WMF 2000 S is the answer for the average need with a daily output of up to 200 cups. This amount can also be made in one hour. It therefore closes the gap between presto! and bistro!. Every demand can therefore be met with the WMF range of products. 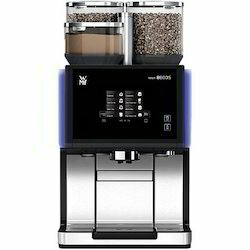 The WMF 2000 S stands for a fully automatic coffee machine with high quality drinks and a variety of speciality coffees. The machine meets the market requirements for more milk competence, speed, preparation times and preparation methods. 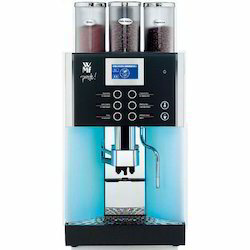 With the WMF 2000 S, you can make coffee specialities with milk, as usual, fully automatically. You can also create milk froth in three grades that are sensor-controlled by the steam tap: fine, super fine and standard. Presenting the WMF bistro! Even more quality, even more design, even more options, steam power, milk power, integrated chocolate and the new Plug & Clean!For more information about the bistro! please contact our sales team. Just taste! Unlike any other before it, the WMF 8000 S – WMF‘s new premium model – combines quality, perfection and innovation with unbelievably good coffee. Its design has already won the coveted iF Design Award. With its revolutionary “Man Machine Interface“, it guarantees that all functions are simple to understand and to use in an instant. When it comes to performance, the WMF 8000 S is yet again a trend-setter. From pressing your selection on the display to the perfect coffee – the timing of numerous processes has been hugely improved. 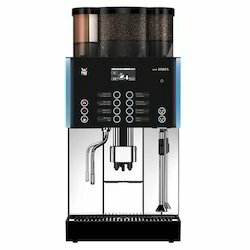 When it comes to equipment for milk and steamed drinks, the WMF 8000 stands head and shoulders above the competition in terms of the range on offer. The Active Milk version even allows the fully automated preparation of hot and cold milk and foamed milk drinks. 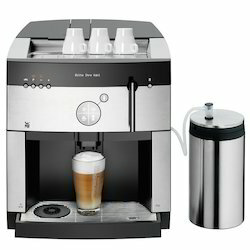 Looking for “WMF Coffee Machine”?